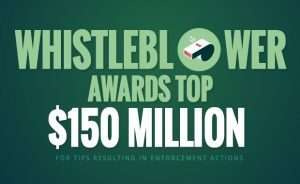 Given that the United States Securities and Exchange Commission (SEC) has now paid out more than $150 million to individuals who have reported securities violations under the Dodd-Frank reward program, FCPA whistleblowers (or people who report violations of the Foreign Corrupt Practices Act) often ask whether their companies are reward eligible. Companies regulated by the SEC are reward eligible. This includes, with some minor exceptions, corporations that are traded on U.S. exchanges, such as the NYSE and NASDAQ, and broker-dealers and registered investment advisors. It should be emphasized that international whistleblowers are eligible for large rewards for reporting corporate bribery under the Dodd-Frank reward program. Many of the people who work at subsidiaries, local affiliates, resellers, agents, and franchisees of SEC-regulated companies often ask whether they should report their information relating to corporate bribery. The short answer is yes. If an SEC-regulated company is using a local partner, affiliate, or an agent to conduct business in a foreign country and that local agent is bribing government officials, then this is definitely something the SEC would be interested in examining. If someone has information about corporate bribery involving a local partner, consultant, affiliate, reseller, agent, or channel partner of an SEC-regulated company and wants to know whether his or her information is reward eligible, please feel free to contact me at arickman@rickmanlegal.com for a free consultation. For more information and details about the Dodd-Frank reward program, please click here. 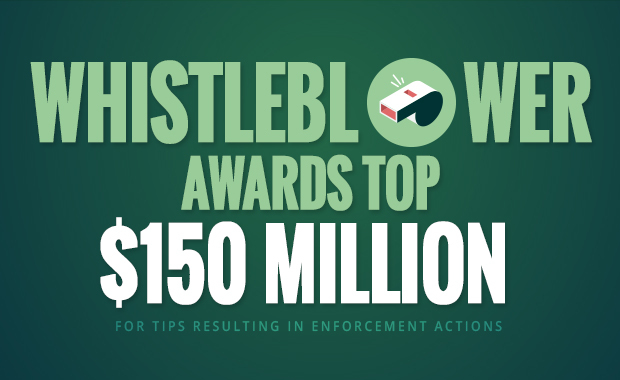 And for more details about how the reward program applies to FCPA whistleblowers, please click here.